A private bungalow with a double bed room and a private bath room with shower. 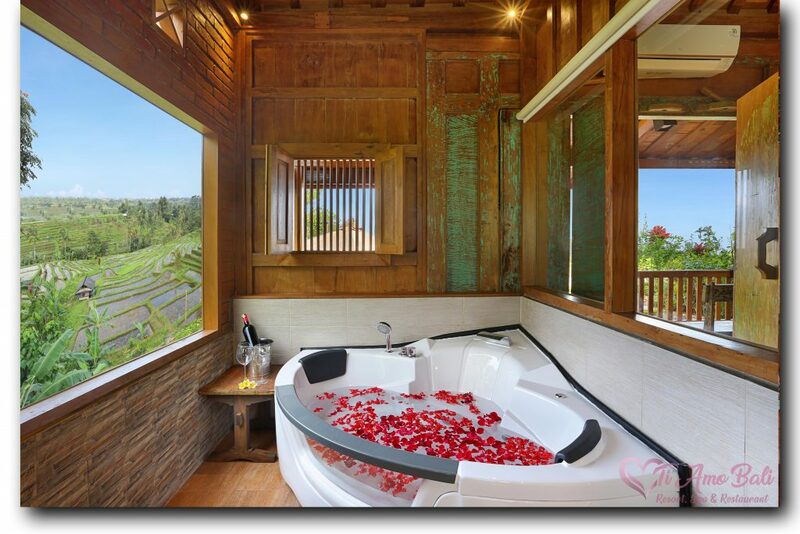 Completed with the Jacuzzi bathtub facing the Mount “Gunung Agung”. 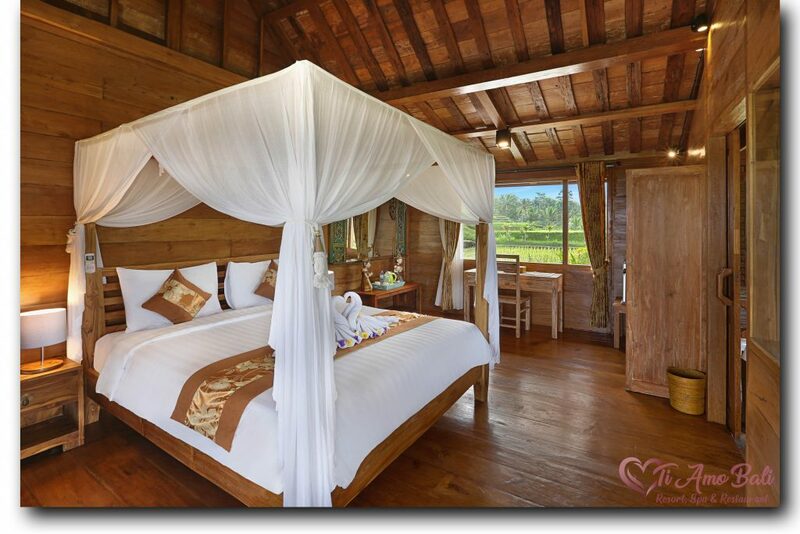 This room is equipped with air conditioning and a mini bar. 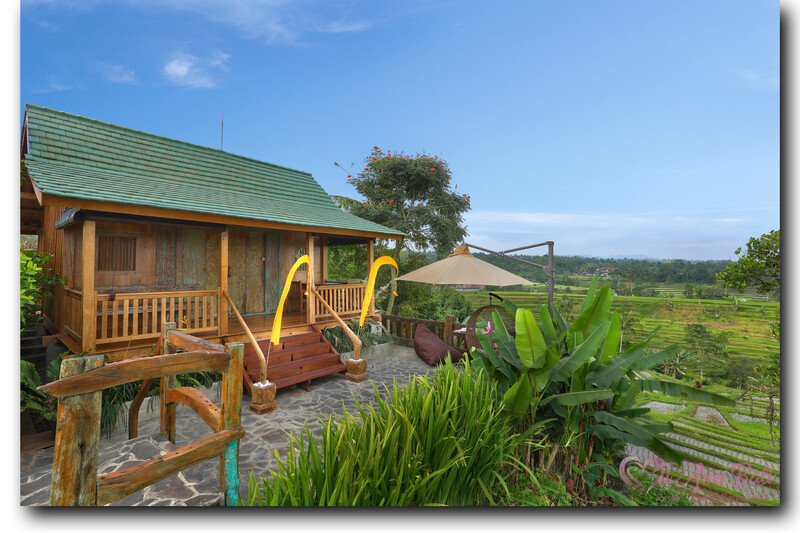 The outdoor natural scenery consist of the beautiful rice fields that surround the bungalow.